The Beat wants you to enter daily for a shot at winning a $200 Bed Bath & Beyond e-Gift Card, just in time for the Holidays! 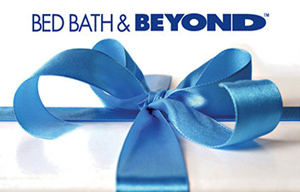 PRIZE: $200 Bed Bath & Beyond e-Gift Card. This Sweepstakes ends on 12/14/17 and you can ENTER DAILY to win.